Cosmos to Return for Spring 2019! Seth McFarlane’s efforts to bring back Cosmos last season were so successful that the popular science program will return in the spring. Neil deGrasse Tyson returns as host. The Orville: Earnest and Optimistic But Not That Good! If you’re expecting FOX’s The Orville to be to Star Trek: The Next Generation what Galaxy Quest was to Star Trek: The Original Series, you will be disappointed. Rather it’s like a tenth generation VHS copy. Squint and you can see TNG characters in the faces of The Orville’s crew, and the plots are reflections of the second Trek series – reflections being the operative word. Ladies and Gentlemen: The 85th Academy Awards® Nominations! Well, they’re here! The Academy of Motion Picture Arts and Sciences have been announced and, once again, I slept through them – which means that I missed Seth McFarlane’s jokes and Emma Stone’s enthusiasm. So, let’s just get right to it. The complete list of nominees – and the occasional notation of possible glaring omissions (no excoriating of any actual nominees this year) – follow the jump. Jeez, Lois! I Feel So Old! 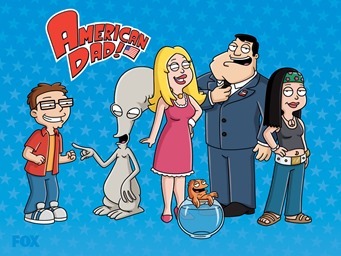 Family Guy Hits 200 (Episodes, That Is)! Fox’s Family hits the 2-0-0 this season! Two hundred episodes – not bad for a show that has continued to redefine irreverent for millions of fans. To celebrate, Fox is planning a ‘Freakin’ Sweet One-Hour Event’ for Sunday, November 11, 2012 at 9/8C. New episode Yug Ylimaf (Family Guy does time travel – only bass ackwards!) will be followed by a series retrospective, The End Of The World As We Know It, giving fans a glimpse behind the curtain at some of the show’s most outrageous moments – featuring interviews with series creator Seth McFarlane and cast members Mila Kunis, Alex Borstein and Seth Green. 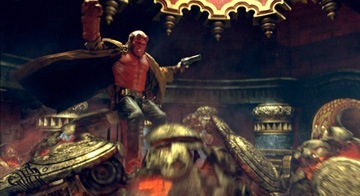 Well, it’s October, and so in this slightly expanded GeekScholars Movie News podcast, the crew looks at the upcoming month’s highlights by telling you which movies they are most (and least) excited for, as well as their predictions on how each film will score on the Rotten Tomatoes freshness scale! Click more to see what else is featured on this week’s show! Before that, however, this week’s show begins with a bunch of interesting news to discuss, including a potential Fargo television show, Tom Hardy in a biopic about George Mallory attempting to climb Mount Everest, Gina Carano starring in an all-females Expendables-type movie, updates on Spy Hunter, The Mummy reboot, and Dawn of the Planet Apes, and finally the crew’s thoughts on Seth McFarlane being named the host of the 85th Annual Academy Awards. The show then concludes with GeekScholars Fox, Jill, and Chris offering their analyses and grades on their F- to A+ scale for Looper, the highly anticipated time-travel action movie starring Joseph Gordon-Levitt and Bruce Willis. 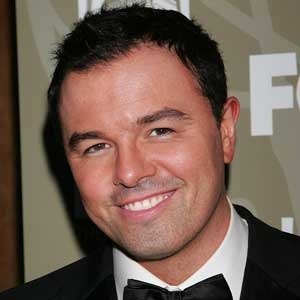 Family Guy/Ted Creator To Host 2013 Oscars®! Craig Zadon and Neil Meron, producers of the 85th Oscars®, have just announced that Seth MacFarlane (Family Guy, Ted) will be the host for the annual televised extravaganza. The 85the Oscars® will be telecast by ABC on Sunday, February 24th. 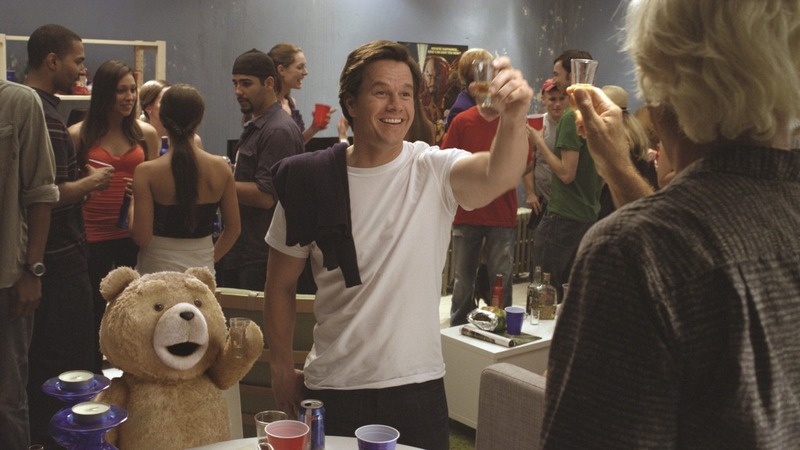 Ted: Warm-Hearted, Cuddly, Crude and Delightful! It’s a story we’ve all seen before – a girl comes between best friends and laughs and tears ensue – except that this time, the girl is the amazing Mila Kunis and the best friend left looking in from the outside is a real, live (as in living) teddy bear. Named Ted.